We've just about recovered from our Women Returners Conference last week ... the pre-organisation, the excitement of the day and the post-event exhaustion! 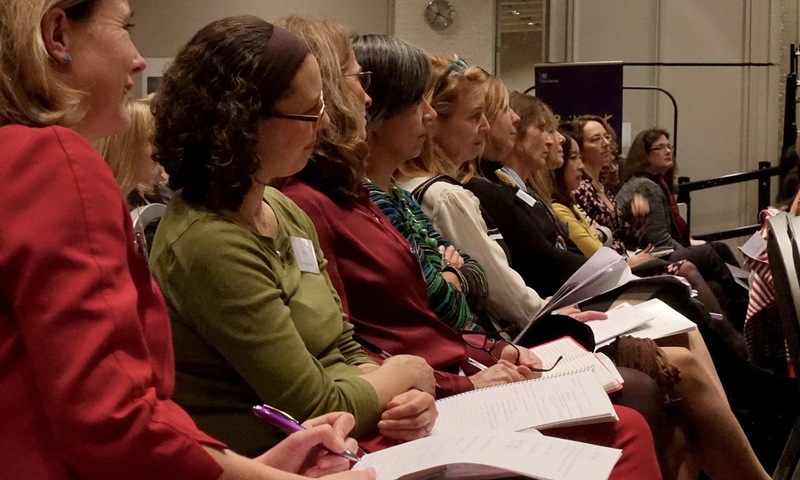 It was fantastic to see the enthusiasm and energy of our 175 attendees and very rewarding for us to read the positive feedback we received after the event (see here for Conference photos and comments). For those of you who weren't able to join us, I wanted to share some advice from our speakers and from our panelists of successful returners and returner employers. 1. Don't underestimate yourself. This was a consistent theme, starting with our first keynote speaker Jane Garvey's observation that women too easily doubt our own abilities and that we need to recognise that we bring so much more to the table than we think. 2. Think maturity not age. Our ICAEW employer panel talked about the value to companies both of life maturity and of the amazing array of skills and experience that returners can offer in comparison with a young graduate and even compared with people who have risen up through the ranks. 3. Appreciate your 'Cognitive Diversity'. Brenda Trenowden, Chair of 30% Club, highlighted the push from UK business to increase diversity. Alongside diversity of gender, age and ethnicity the new goal is a team with 'cognitive diversity'. Basically, companies are valuing people who think differently. From my experience, seeing the world in a different way comes easily to people returning after a career break - you return with a new, and often more balanced, perspective. 4. Be brave and move out of your comfort zone. Many of our panelists, including those with very impressive CVs, talked about the self-doubt and anxiety they had faced on their return to work. However, all of them said that the pain was worth it in the end! 5. Move to action. This was my main takeout from the stories we heard. Don't procrastinate endlessly, looking for the perfect next step. One of our panelists retrained as a mediator, before deciding that wasn't the right path for her; she's now working in a legal role she loves after taking a set of interim legal roles along the way. It may be a windy road back, but you'll learn more by doing than by thinking. We're working on some advice video clips from Conference speakers and panelists and hope to share these with you over the next month or so. In the meantime, see our website for other returner stories and advice.